Amanda McClelland took the helm of running Cruiseco 13 months ago following the retirement of Steve Lloyd, who held the position since the company’s inception in 2000. Before joining Cruiseco, McClelland was the Director of Customer Sales and Services at P&O Australia, in addition to holding the title of Director of Business Improvement. 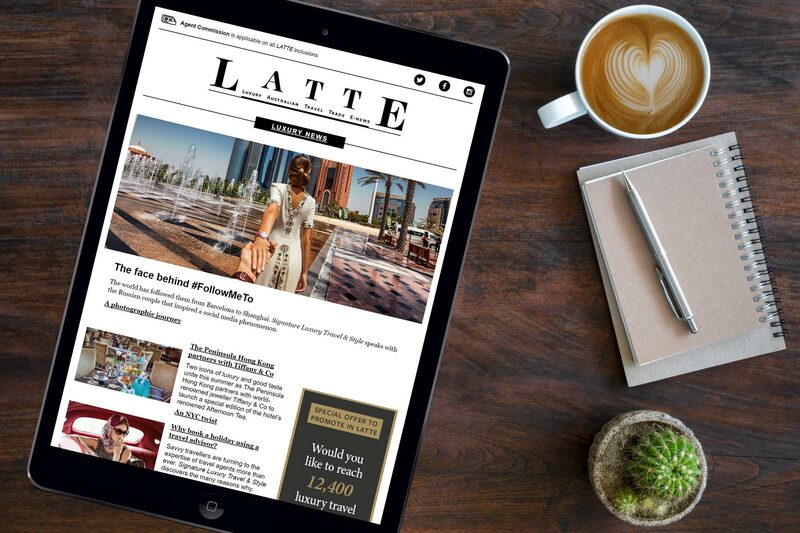 LATTE chatted exclusively with McClelland to find out what her favourite destination is to cruise and what’s happening next at Cruiseco. You’ve now been at the head of the Southern Hemisphere’s largest and broadest distributor of cruise product for nearly a year. What have you learned in this time? One major thing that stands out is that no agent is the same. We have incredible members, all of whom are so passionate about the cruising industry and their customers, so we can’t assume that they all want and need the same thing. The last 12 months have been dedicated to understanding the best way to cater to the individual needs of all our members. Cruiseco is known for delivering innovative cruise product. How are you planning to develop the brand? We have recently released a great selection of curated cruises for our members. Each experience is unique and designed to ensure all passengers can find something they will love to create memories that will last a lifetime. We aim to curate more packages over the next 12 months focused on a range of budgets, destinations and interests. With more interest in international cruising and a growing trend towards bespoke packaged holidays, we understand that taking the stress out of choosing a cruising holiday will help our members and their customers. Cruiseco recently released the Christmas Collection brochure. What is so wonderful about cruising at this time? Christmas is a special time of year for many families, but it’s common to feel stressed or overwhelmed during the ‘silly season’. Cruising is a great way to make the most of your annual leave and enjoy the holidays exploring a new destination with loved ones. It also means you can kick back and relax, knowing that delicious food, amazing locations and once-in-a-lifetime experiences are all organised for you. I’m planning a Christmas cruise with my family this year and can’t wait to enjoy some special time together with plenty of fantastic food and wine – and best of all, no cleaning up! What are some of the diverse options available to Christmas cruisers? What do you believe makes a great Christmas cruise experience? In the Cruiseco Christmas collection we have a variety of cruises tailored to a range of destinations and activities, including a white Christmas in Europe, a family-friendly cruise around the Pacific Islands or a foodie tour of Asia. A great Christmas cruise is about finding a great-value holiday that suits you and your family and the best part about cruising is there really is something for everyone. The Christmas brochure is the sixth Cruiseco Collection. How can these collections help travel advisors plan their clients’ holidays? Are there more collections on the horizon? The Cruiseco Christmas collection is designed to make choosing the right cruise easy for customers, with amazing deals across 23 packages to suit everyone during the holidays. Our research shows that almost a third of Australians still haven’t yet planned their Christmas break, so our Christmas Collection gives travel advisors the resources they need to help their customers easily identify the best cruising experience for them and take the hassle out of organising the holidays. We are focused on finding new ways to give our members and their customers more holiday options and easier ways to choose the right holiday to suit any travel style, so we will be releasing more collections in the coming months. There are so many great cruising options that even if you know your destination, the options can still be overwhelming. Cruiseco Collections aim to provide brochures and online resources that curate a range of destination-based packages from a variety of brands throughout the year. Our brochures feature strategic pricing and are supported with flyers and online assets to assist our members’ marketing initiatives. We believe these are the key packages to sell in-market based on our knowledge of market demands, fantastic price offers and package options. Cruiseco also has a unique offering in its music-themed ship charters. How did these come about? What other interests might translate into a themed cruise? Yes, our music charter cruises have been a huge hit with music fans and travel-lovers alike! These bespoke itineraries evolved through our passion for creating bespoke travel experiences and continue to rock the seas with four cruises currently scheduled for later this year: Bravo Cruise of the performing arts, Cruise n Groove is an Elvis-themed cruise, Rock the Boat for all things rock and Cruisin’ Country for country music fans. These music cruises are a truly unique holiday experience on board RCI’s Radiance of the Seas with intimate nightly concerts and meet-and-greets with your favourite artists. We are currently working on other bespoke cruises tailored to different interests. The company also operates its own ship, Cruiseco Adventurer, on the Mekong. Are there plans for any more Cruiseco-branded vessels? Have you considered the European rivers for a Cruiseco ship or a charter, or is that market saturated enough? The Cruiseco Adventurer is one of our most popular river cruises, and it’s easy to see why. Guests are treated to 11 nights cruising in luxury along the Mekong River from Saigon to Siem Reap, experiencing a captivating array of culture, rituals and ruins along the way. It is truly a magical cruise. The experiences are local and authentic and the crew love creating unique personal moments for our guests. European river cruises continue to grow in popularity, particularly among Australian travellers looking for a luxury experience beyond the tourist hotspots. We work with a number of cruise lines within the European market and are committed to continuing to support their ongoing success. You also have a personal passion for cruising. What has been your most memorable cruising experience? Wow, there have been so many! My most memorable cruise was in Alaska. Sitting in the nightclub at 3am watching the sun that never quite sets over Mt McKinley, huddling under blankets on deck while watching glaciers calve around us and dog sledding through the snow all added up to an amazing experience which I still rave about. What does luxury cruising mean to you? Luxury cruising is all about those special touches that elevate the customer’s experience. These touches include a bespoke itinerary, incredible food and wine, smaller passenger numbers which offer a more intimate experience, and all add up to a truly special holiday. As the luxury cruising category continues to grow, customers will be seeking new experiences that cater to their needs, wants and desires while still offering great value. Cruiseco’s luxury cruise options give our members the tools they need to help customers create their own personal package, choosing from a vast array of destinations and experiences as well as travel styles. What’s the best coffee experience you’ve ever had? My best coffee experience is the coffee my husband makes me every morning!